From Hanoi to Ho Chi Minh City, hundreds of senior staff of AVIVA VIETNAM participated together in a series of Cyclic events throughout July 2018. The events created considerable excitement and the individuals who experienced the Cyclic World benefited from updated financial knowledge, tasting the risks of investing in various channels and seeing how to achieve the dream of financial freedom. See the video below for how Cyclic Events were experienced. 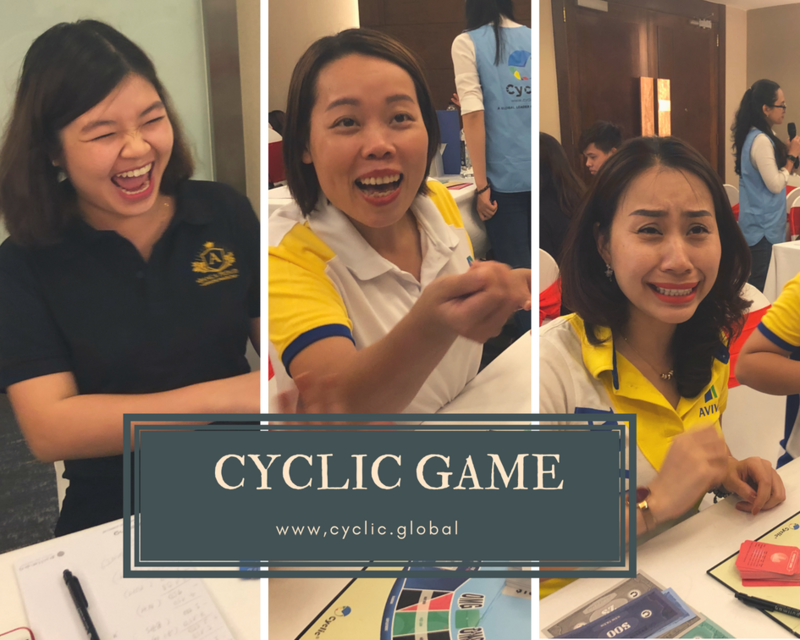 With the goal of bringing KNOWLEDGE through a highly enjoyable and participative way, the players in the series of Cyclic Events have been experiencing the ups and downs in the Cyclic World; and learning practical lessons which they can apply in their work and home life. The game is so great. We not only had fun interactions with friends but also useful financial literacy.